This is a scalper system. ScalpelSpeedMod should be optimized once per month. After that, it shows excellent results on a forward period (exceeding the historical one several times) that can be seen on the screenshots. Magic — the usual parameter is the magic number. 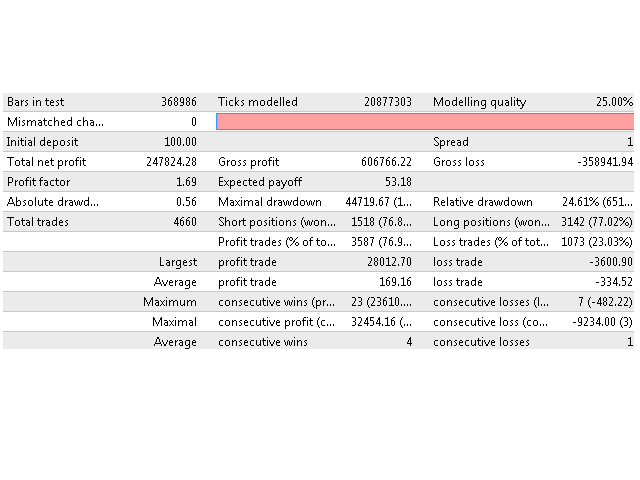 Risk — calculates the lot depending on the deposit. Lot — sets the lot size to enter the market (priority is higher than that of the Risk field). 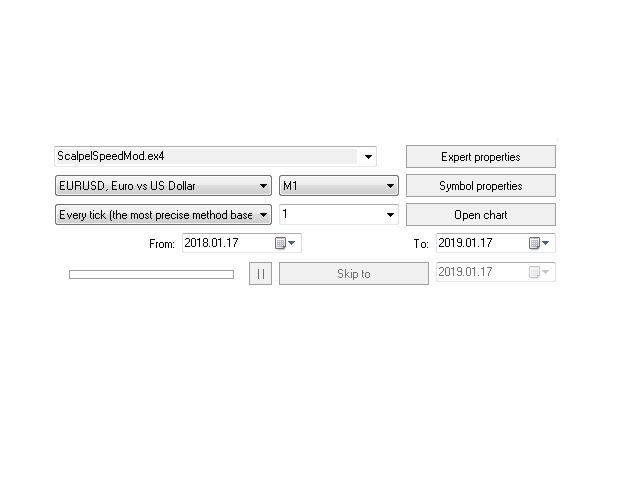 MaxSpread — restriction of the spread (if this field is less than the real spread, the expert will not enter the market). Commission — important parameter (as well as spread) for those accounts in which the commission is used. Slippage — maximum slippage level. VolatilityMultiplier — the parameter allows you to place an order only if the volatility is higher than this relative parameter (the higher the parameter, the more active price movements will be required to enter the market). VolatilityPercentageLimit — indicates that the order will be placed if the ratio of real volatility to the selected parameter VolatilityMultiplier is greater than the specified value in percent. MaxExecutionMinutes — to test the delay of requests in the tester. MaxExecution — to test the delay of requests in the tester. MinStopLevel — sets the user minimum stop distance. MinFreezeLevel — sets the user minimum distance for the freeze level.